Officials made "major mistakes" and mismanaged finances for a project meant to consolidate government's financial management systems, MPs have heard. Treasury Director General Dondo Mogajane on Wednesday night briefed members of the standing committee on public accounts (Scopa) on a forensic report following an investigation into the Integrated Financial Management System, or IFMS - a project that has cost over R1bn and has not officially kicked off. The investigation was conducted by Nexus Forensic Services, which Treasury commissioned in February. The forensic firm recommended that the DG take action against implicated officials. 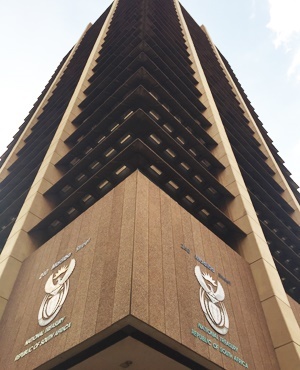 Findings reflect mismanagement of public funds - irregular expenditure associated with the project amounted to R273m, and unauthorised expenditure amounted to R17.8m. "Basic financial management processes were thrown out the door in some instances," Mogajane said. "For a project of this magnitude, we should not have made major mistakes. And the financial management should have been way above board," Mogajane admitted. He will be studying the report and consider the recommendations by Nexus to take further action, Mogajane said. Treasury gave officials and companies implicated in the report up until December 5 to make submissions. Nexus found that there was possibly no business case or feasibility study conducted prior to procurement for the first phase of the IFMS – it was recommended Mogajane take action against officials. In one instance Apex was not disqualified in procurement processes for not having a valid Tax Clearance Certificate – Nexus recommended that action be taken against the procurement committee. Service providers SAP and Oracle were both found to have made misleading statements in their tender forms. The report also highlights failures in the supply chain management (SCM) process, breaches in the SCM system, non-compliance with the SCM guide and failures of contract management. Contracts that were irregularly awarded resulted in irregular spend, Mogajane explained. Nexus found that a contract was irregularly awarded to ICT-Works, which amounted to approximately R165m in irregular spend. Similarly, for the second phase of IFMS, contracts were irregularly awarded to KPMG (amounting to R69m) Apex (amounting to R8.8m) and Abacus (amounting to R28.4m). Nexus flagged a licence maintenance fee with Oracle, 17% applies regardless of licence use. If the licence is not being used then it would be considered fruitless and wasteful expenditure. Intenda was substituted with Oracle as a service provider at some point - this resulted in a 30% increase from the original agreement. This is above the 15% deviation allowed. Similarly payments made to Accenture exceeded approved budget allocation – amounting to R15.7m. Officials were identified and Nexus recommended Mogajane take action. KPMG, Abacus and Barnstone failed to declare conflict of interest in bid documents– Nexus recommends that this be referred to law enforcement agencies. There is possibly another case where SAP failed to declare interest - as the employee previously worked in the IFMS, Nexus noted.